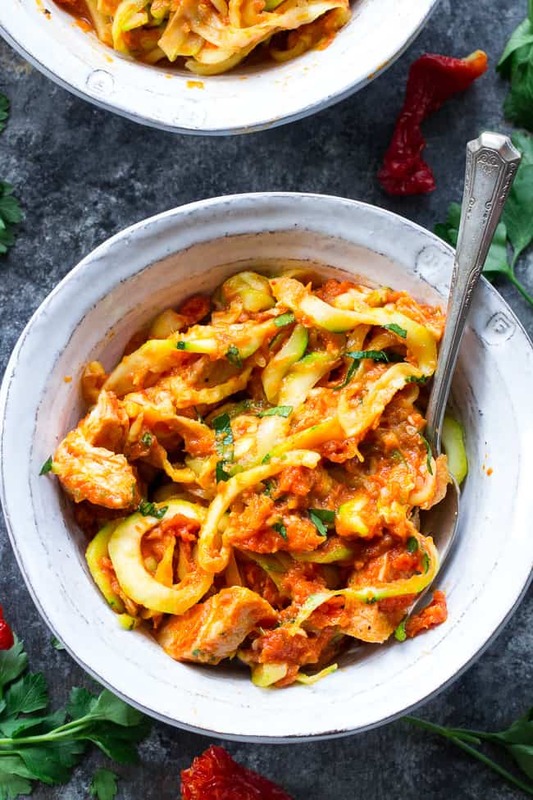 Zucchini pasta is tossed with a filling and flavor-packed, no cook creamy sun-dried tomato and scallion sauce plus perfectly cooked chicken. 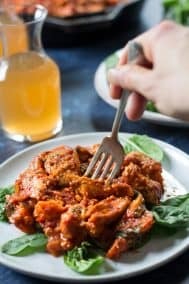 A tasty Paleo, Whole30 and low carb meal that’s great hot or cold. Perfect for spring and summer! 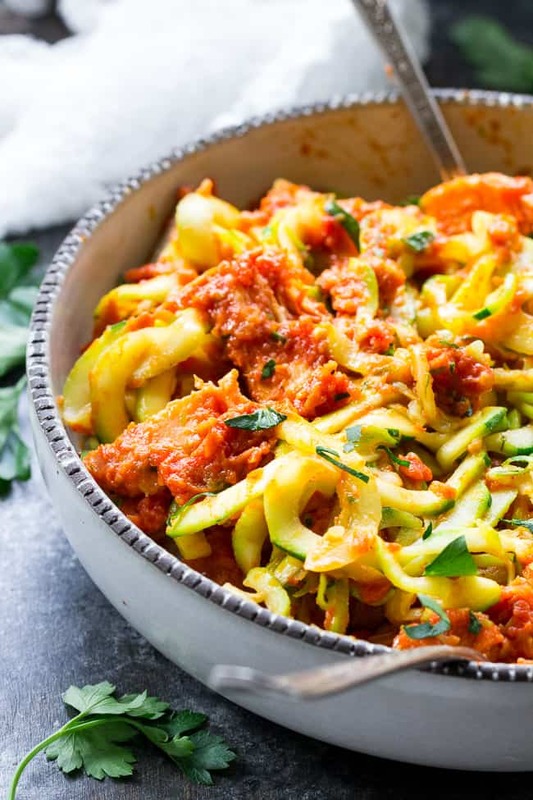 Some people might think an entire cookbook devoted to pasta recipes has no place in a household that eats primarily Paleo. But those people would be wrong, in my opinion! I’ve always had a thing for cookbooks, ever since I purchased How To Cook Everything way back in college to finally put TV dinners in a dark corner of my past, forever. 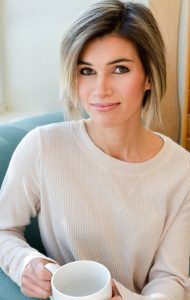 Since then, my cookbook collection grew considerably, to include books on everything from the Panera Bread menu, to 30 minute vegan recipes, to a book of nothing but burgers – that’s shaped like a burger. 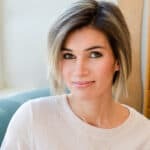 I have Paleo cookbooks and Rachael Ray cookbooks, kid cookbooks and cocktail cookbooks. Betty Crocker and Microwave Gourmet. All I can really say is I really flipping love cookbooks of all kinds! Anyway, because I was blinded by love and totally bought into that heart/stomach connection saying, I bought the dang pasta cookbook. And I have to say, though I’ve had it for over 10 years, I’ve probably referenced it more after paleo than before. Weird, right? Well, not really so weird at all. Because if you think about it, a pasta cookbook is really just a sauce cookbook, pasta being the vehicle for the sauce. 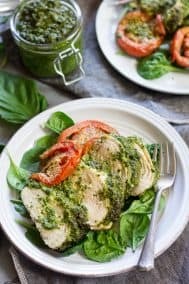 So, when I get in a pesto rut (hard to do, but it actually happens) or worse, start dipping veggies in plain marinara sauce, I know where I need to look to draw some inspiration. Yup, pasta book. 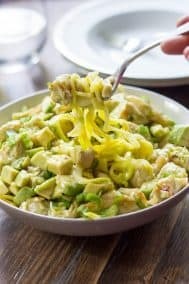 But, back to my zucchini pasta! 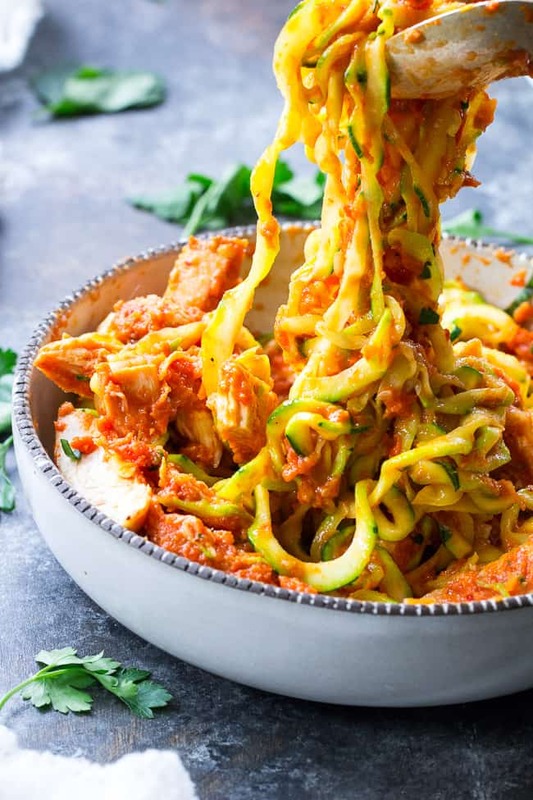 While flipping through my pasta book, a sun-dried tomato cream sauce caught my eye (the original was with farfalle and heavy cream, and it looked flipping delicious) and I knew a thick, creamy, flavorful sauce like that would work so well with zucchini noodles! I tend to hate the wateriness off zucchini, so the thicker the sauce, the better. Plus, I have major sun-dried tomato love and can’t seem to stay away for too long. I also included both scallions AND garlic to intensify the flavors and completely mask any coconutty-ness from the coconut milk. So you just get a nice thick and creamy sauce without noticing that you skipped the dairy. 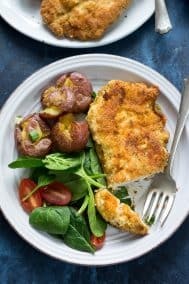 You could even add nutritional yeast if you wanted a cheesy touch, though it’s delicious as is! 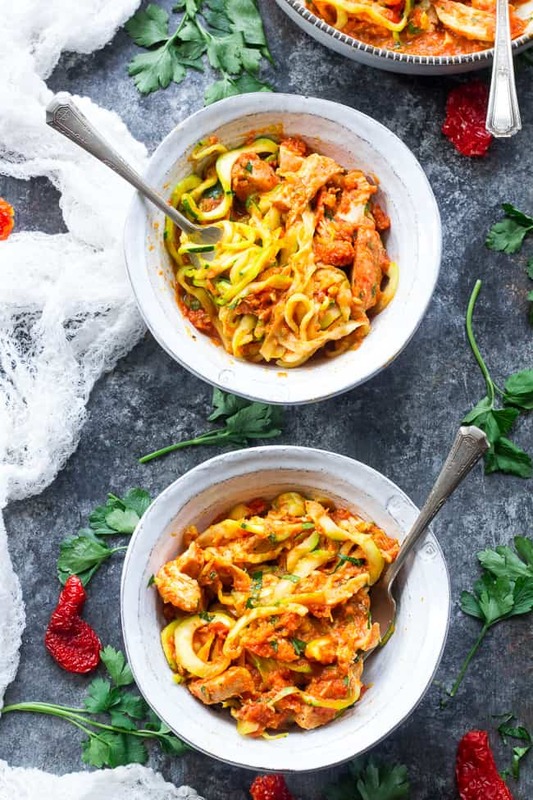 Zucchini pasta is tossed with a filling and flavor-packed, no cook creamy sun-dried tomato and scallion sauce plus perfectly cooked chicken. 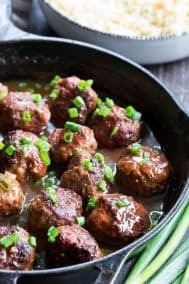 A tasty Paleo, Whole30 and low carb meal that's great hot or cold. Perfect for spring and summer! 1-2 tsp cooking fat coconut oil, ghee, bacon fat, etc. Line a large bowl with paper towel. 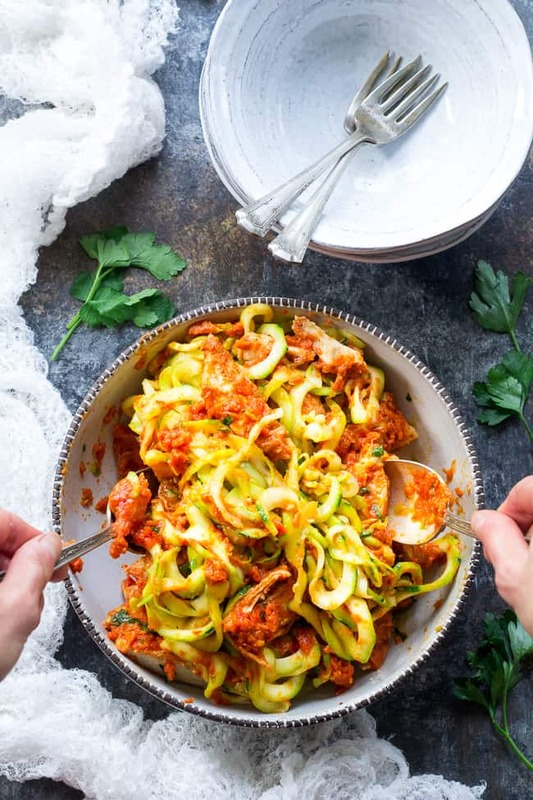 Toss the zucchini noodles with salt and let them rest on the paper towel while you prepare the chicken and sauce. 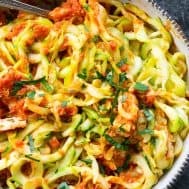 Wipe out the skillet (or use a separate one if you wish) and coat with a thin layer of cooking fat, then add the zucchini noodles. Transfer noodles to a large bowl, leaving excess water in the pan. 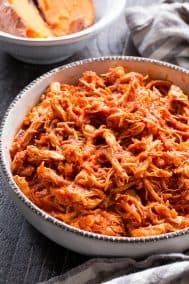 Slice the chicken into bite size pieces and add to the noodles. Add 3/4 of the sauce and toss, add the rest if you need to/want to depending on how saturated you want the noodles (everyone will have slightly different amount of noodles, so you may wind up with a bit extra sauce, though you will definitely have enough! Lastly, toss in the parsley or simply sprinkle on top. Save leftovers covered in the refrigerator for up to 4 days. Serves 4, enjoy! 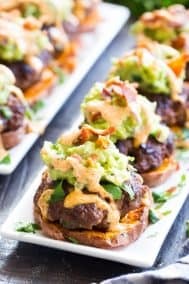 Want more Paleo and Whole30 meal ideas? Try one of these! 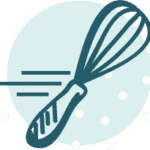 Are you a cookbook collector? Just cooked it for dinner and it was de-li-cious!! Even my girls loved it although they’re not big fans of zucchini. Thank you for your great recipes, I always know I can pick any of them and it’s going to be exquisite. 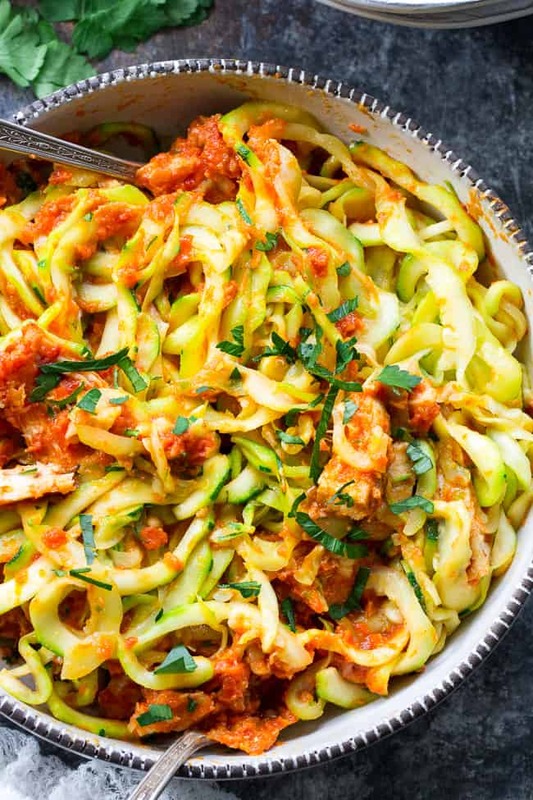 It is time for me to use my spiralizer; this dish looks so delicious! I’m not clear on whether to use the white or green part of the scallion. 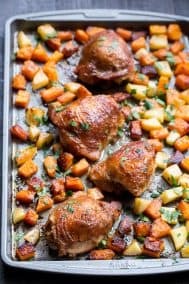 Excited to make this tonight! For this recipe use the light green and white parts. Hope you enjoy! Thank you! i made this tonight and it was pure perfection. Will definitely be a regular dish for dinner around here. Excellent! Loved the sauces richness! This is amazing!! I didn’t change a thing or add a thing and I’m obsessed! I did at the end just put all together to heat up and it was perfect! Thank you! Tried to give it 5stars but it cut me off! !